Driven by her relentless work ethic and passion, Brandalyn Fulton, Makeup, Wig & Hair Artist, relocated from Detroit to New York City to be in the hub of Fashion and Theatre. She started in cosmetic sales as a college job in 2003. Soon after she had the desire to freelance on her own thus Brandalyn Fulton, the Makeup, Wig, and Hair Artist was born. It became more of a lifestyle/career change rather than just a college job. Even though she started as an Economics major while at the University of Michigan she ended up completing a degree in Sociology and Theatre Design & Production. In April 2002, during her Spring Break of the high school senior year, Brandalyn was in a severe car accident leaving her with a Traumatic Brain Injury. This injury has impacted her life in many ways but with faith, prayer and support Brandalyn lives a very normal life. It is through creative work that Brandalyn gained much strength and finished her college degree despite her circumstances and limitations. She continues to be goal oriented, ambitious and enthusiastic. Since moving to New York, Brandalyn keeps busy with fashion and theatre projects. She has partnered with Mount Sinai School of Medicine Brain Injury Research Center in New York City. She teaches women makeup tips and techniques who like her, also suffer from brain injuries. Her volunteer work focuses on self esteem rebuilding, dealing with inner and outer beauty, and living life with a disability. It is through her journey as a makeup artist that Brandalyn has overcome issues of self confidence as she continues to seek self love and awareness. Brandalyn has worked in wigs and makeup at the John Engeman Theatre at Northport, Music Theatre of Wichita, Westport Country Playhouse, Carnegie Hall, York Theatre Company, Westside Theatre, Vineyard Theatre, and The Juilliard School. She has also worked as makeup artist and/or consultant for FACE atelier Cosmetics, MAC Cosmetics, Obsessive Compulsive Cosmetics (OCC), Giorgio Armani Cosmetics, Mehron Cosmetics, Benefit Cosmetics, and Shu Uemura Cosmetics. 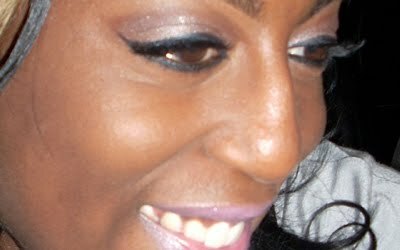 Brandalyn was Makeup Artist of the Year – 2008 at the Bennett Career Institute’s Celebrity Makeup Symposium. She enjoys talking about beauty, color theory, and entrepreneurship. She has presented seminars at Bennett Career Institute (Washington, DC) and introduced the Women of Color Foundation Collection for FACE atelier Cosmetics at The Makeup Show NYC 2010 with a seminar entitled Perfecting Complexion.